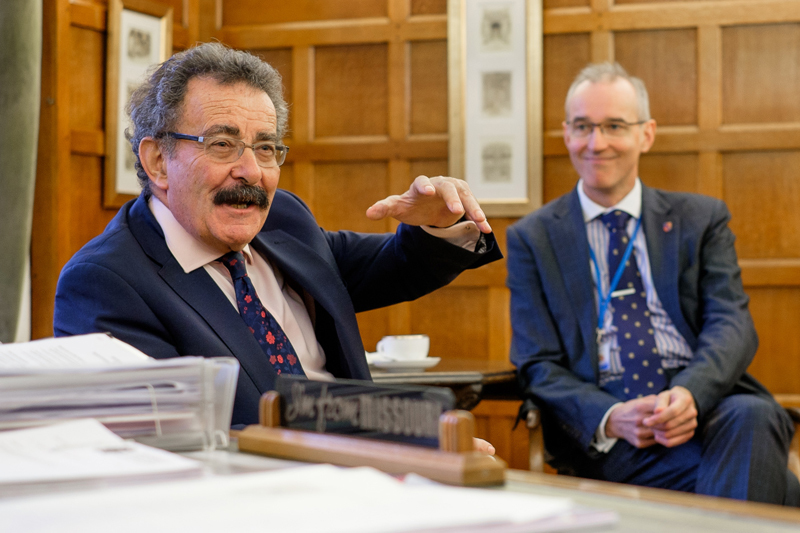 Professor Lord Robert Winston, renowned scientist and Britain’s leading fertility expert, visited King Edward’s School to talk to an audience of over 400 pupils, parents, former pupils and staff about the importance of being scientifically literate. The talk, which took place on Thursday 2 March in the Ruddock Hall of the School’s Performing Arts Centre, was the seventh in the Tolkien Lecture series. Other speakers in the series, named after the School’s most famous former pupil, JRR Tolkien, have included Jonathan Coe, Sir Hew Strachan, Simon Singh and Alfred Brendel. Dr Mark Fenton, Chief Master, said: “It has been an incredible privilege for us to welcome such a distinguished scientist to the school. Not only did the boys find it a great inspiration, but listening to Lord Winston was hugely enlightening and enjoyable for all who attended.